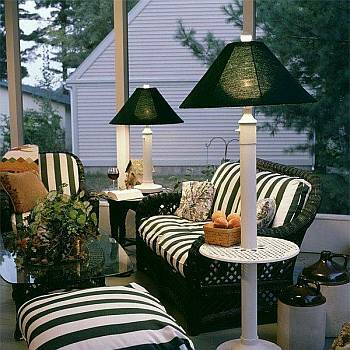 Patio Lamps increase the value and function of your home can mean bringing the comforts of the indoors to your outdoor living spaces. 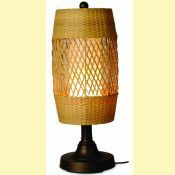 Create more living space with a comfortable sitting area on the porch, patio, or deck, and illuminate your new space with one of our beautiful and weather resistant Outdoor Patio Lamps. 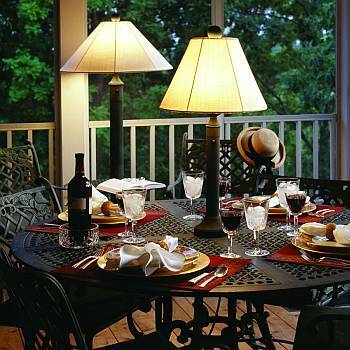 Bring indoor illuminating style and safely to the outside of your home. 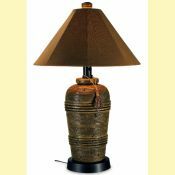 Each lamp we offer is constructed of weather resistant materials, such as heavy duty resin, power coated aluminum, or natural looking PVC wicker, and all come with a heavy weighted base for added stability. 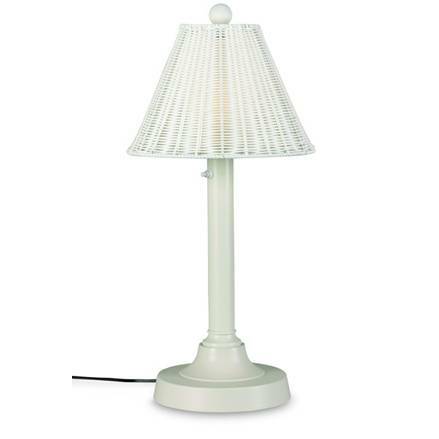 Many of our outdoor lamps have a two level dimming switch, and all have a weatherproof grounded cord and plug. 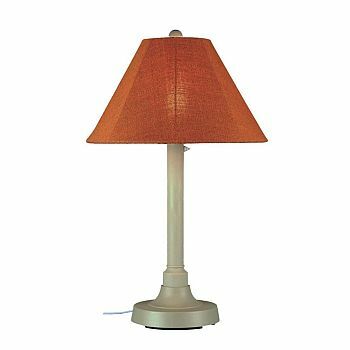 The grounded cords can be as long as 16 feet in length depending on the lamp. 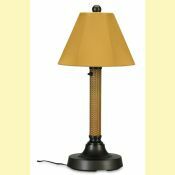 An unbreakable polycarbonate waterproof light enclosure ensures that it can operate in nearly any weather. 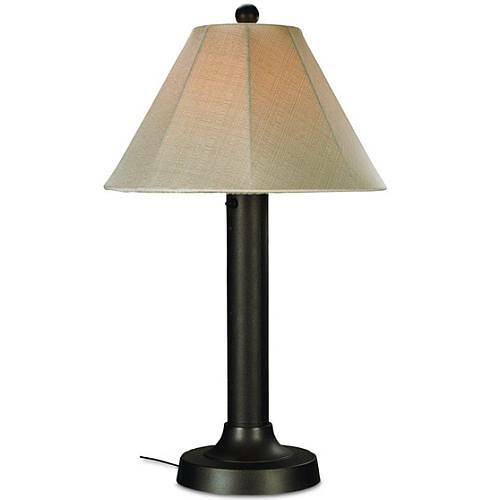 Outdoor floor lamps are freestanding and are perfect for patios and porches, balcony or a spacious open area. 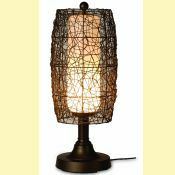 They would work perfectly by the door to light up the entryway or porches or as a stationary fixture to add some ambiance to your atmosphere out on a pool deck, balcony or garden. 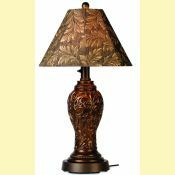 Our table lamps are designed to go around seating areas and sit on a table. 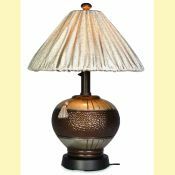 There are some table lamps designed to secure to the umbrella hole of a table for extra turnover protection in high wind areas. 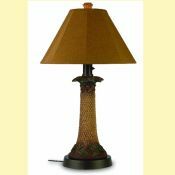 They can be strategically placed at the dining table, porch swing, chair or sofa and would make a great addition to seating arrangements so you can enjoy an evening after dark. 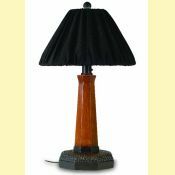 Most of the Outdoor Patio Table and Floor Lamps you will find below have lamp shades made of beautiful and weather resistant Sunbrella fabric. 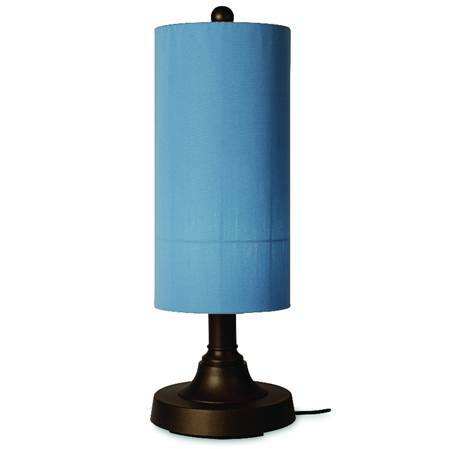 Sunbrella covers make a fashionable but functional solution for weatherproof outdoor lamps. 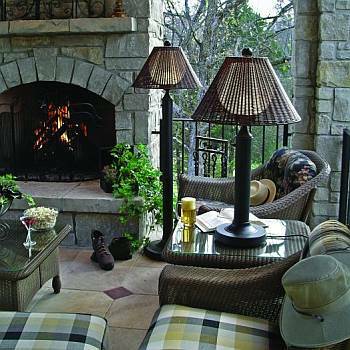 Sunbrella fabric is made from 100% solution dyed acrylic fiber which provides unsurpassed brightness and durability. 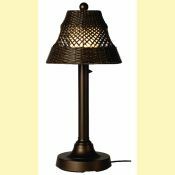 Each lamp shade can be washed easily and resists mold and mildew - a must for any outdoor product. 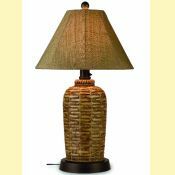 Your choice of Sunbrella lamp shade fabric allows you to customize your table or floor lamp and complement your outdoor decor. 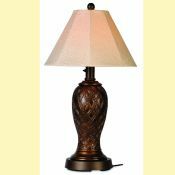 You will love the added touch of elegance that our Outdoor Patio Floor and Table Lamps bring to your patio, deck, or other outdoor living spaces. 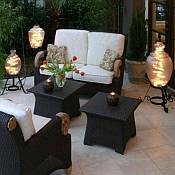 Nothing is more practical or beautiful for lighting up an outdoor area and for entertaining your friends and family after dark.